The Jurassic Park movies are wonderful partly because they’re based on fact—or are they? Certainly, they try to show dinosaurs and other ancient life-forms as accurately as possible. But scientists face challenges when attempting to reconstruct ancient life. New discoveries happen frequently, clarifying what we know about the first life-forms on Earth or sometimes forcing us to rewrite the books. Most of us think that Earth formed, and then life developed in the seas. That’s basically true, but no one knows for sure how life first developed. Once it arrived, life immediately started influencing the planet’s surface. Without plants to break rock up into sediment, for example, there wouldn’t be as much material for plate tectonics to turn into continents. Without plants, Earth might have ended up as a water world. Believe it or not, increasingly complex life may even change the pattern of global ice ages, making them less severe with “regulatory feedback.” This intermittent global freeze-thaw pattern goes back billions of years to a time when Earth didn’t have the complex web of life that exists today. Back then, glaciers stretched all the way from the poles to the equator, disrupting the whole planet. 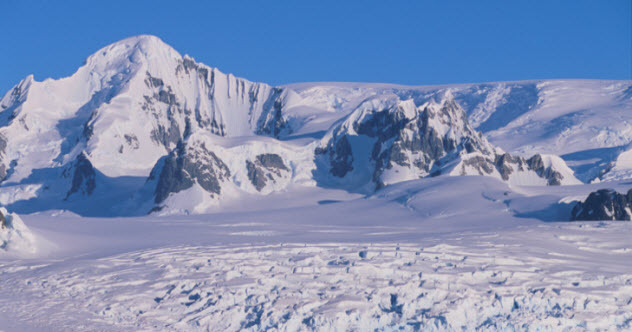 Since then, as more and more life has roamed the surface and filled the seas, ice-age Earth has formed huge glaciers at both poles and sent a few shivery fingers down several degrees of latitude, never reaching the equator. 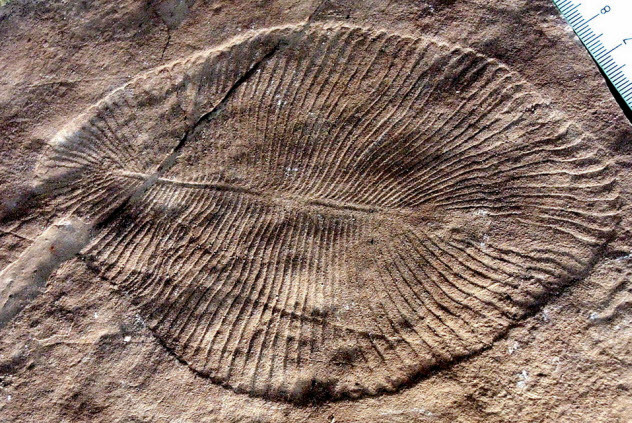 Experts call the sudden upturn in diversity and richness of Earth’s fossil record that began some 542 million years ago “the Cambrian explosion.” It puzzled Charles Darwin. 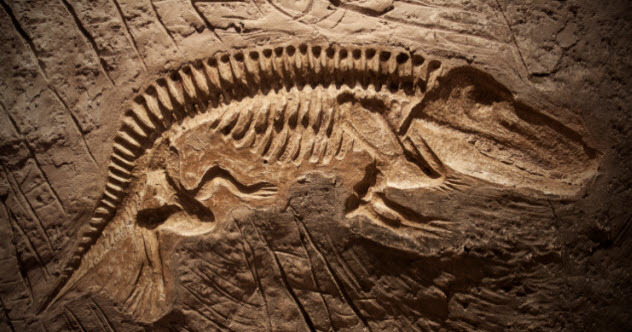 Why did all the ancestors of modern animals appear overnight, geologically speaking? One expert explanation is that there was life before the Cambrian period, but it didn’t have any hard parts. Researchers analyzed soft-bodied Precambrian fossils in Australia, some of which aren’t related to any form of modern life today, as well as younger Cambrian soft-bodied fossils from Canada. They found that there was advanced multicellular life at least 50 million years before the Cambrian “explosion.” They’re not sure where hard parts came from, but maybe a genetic mutation caused a cascade effect leading to the sudden development of shells and skeletons. Not everyone agrees with this theory. Scientists have yet to figure out exactly what happened to life on Earth 542 million years ago. It was good to be a fish at the top of the food chain during the Devonian period, 150 million years after the Cambrian. Apart from a few adventurous plants and animals that were exploring land for the very first time, everything lived in the sea. Over tens of millions of years, things started looking up on land, too, where tall forests of ferns, mosses, and fungi developed. Then marine creatures started dying. At least 70 percent of all invertebrates in the sea eventually disappeared. This Devonian extinction was one of the top 10 mass extinctions in Earth’s history. Many experts believe that land plants were the culprits. 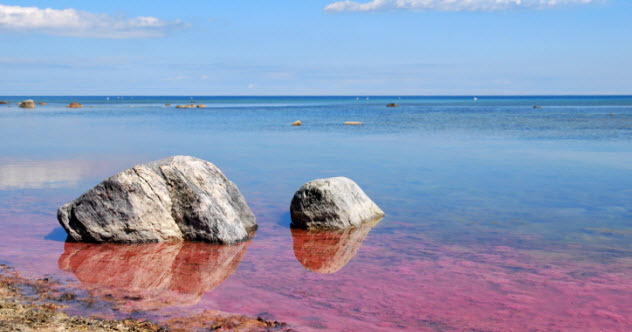 They say that the first forests created soil that broke down rocks into minerals that eventually washed into the ocean, causing algae blooms. These algae consumed all the oxygen, suffocating marine creatures. Even worse, the algae were then turned into hydrogen sulfide by other organisms. This turned seawater into acid. The plants didn’t escape, either. They removed enough CO2 from the air to cause an ice age which destroyed many of them, too. However, some species survived even those hellish conditions in the sea and on land. There is never total extinction, not even when a massive asteroid impacts the planet. For example, back in Earth’s youth, oxygen made by those newfangled cyanobacteria was poisonous to most early forms of life. Although many oxygen-haters died off, others adapted by becoming more complex. Extinction happens over and over again, but Ian Malcolm in Jurassic Park was right when he said that life always finds a way to keep going. According to the fossil record, survival and extinction come down to things like demographics. If a group has lots of species scattered all over the world, then there’s a chance that at least one or two will get through an extinction event. Other influences are environmental conditions and genetic factors that make a species vulnerable or adaptable. Horseshoe crabs really have the right stuff—they’ve survived four major mass extinctions and countless smaller ones. No wonder they’re wracked with survivor’s guilt! Just what is a fossil anyway? It used to mean anything dug out of the ground, but that can be misleading when we’re trying to understand ancient life. Fossils can also be hard to identify. Sometimes it’s difficult to tell whether a bleb on a Precambrian rock is a bacteria fossil or just rock. What is life and how can we identify its fossils? Oddly enough, the answers probably lie in space exploration. Right now, there is a traffic jam around and on the planet Mars because, apart from Earth, Mars offers the most hospitable planetary climate for life. It once had seas and rivers. If life existed in those ancient waters, maybe it left some fossils behind. This raises an obvious question. If we’re puzzled about life on Earth from 542 million years ago, how are we going to recognize Martian remains from four billion years ago? Astrobiologists are working on answers to that question. Paleontologists are helping, too. Redefining fossils to fit conditions on ancient Mars also helps scientists figure out what are and aren’t primordial fossils here on Earth. Most of the fossils you’ve seen probably formed in water. Water is good for fossil making. Land . . . not so much. In the shallow water near the beach, for instance, lots of sediment runoff from rivers and streams will quickly bury clams and other marine creatures, preserving them. A tropical rain forest may be just as diverse and thriving as a shallow marine shelf, but it won’t form many fossils. Plants and animals that die there quickly decay because of humidity. Also, predators quickly carry off carcasses anywhere on land, while whatever is left erodes in the wind and rain. 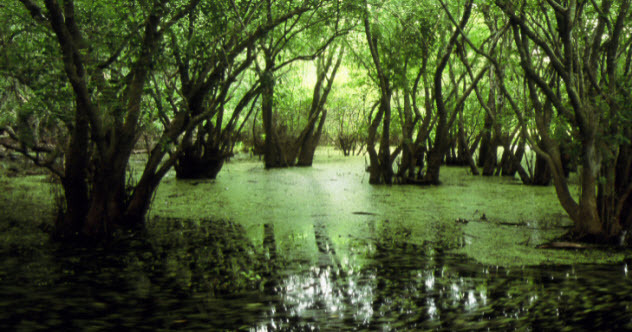 Stagnant water in low-lying places like swamps and lagoons works, too, because it doesn’t contain much oxygen, and few decay organisms can live there. Besides location, there is also a fossil bias toward bodies that have hard parts, as well as for members of animal and plant groups that are large, long-lived, and dispersed over a wide geographic area. Time matters, too. Geologic processes like mountain building and plate subduction tend to erase the fossil record, so extremely old fossils are rare. Physical processes after a plant or animal dies are complex and messy. An entire scientific field, taphonomy, has been set up to study them. This helps a lot, but it’s not a perfect picture of the original living being. Some whole fossils, such as insects and carnivorous plants trapped in amber, exist but are all fairly young. Mostly, only a small part of an organism is preserved. As we’ve seen, fossilization tends to happen only to the hard parts of a plant or animal, so experts must reconstruct animals from only a few teeth and, if they’re lucky, maybe some bones as well. Paleoartists use fossil data to reconstruct ancient living beings, but they fill in the gaps with details from that animal’s or plant’s modern descendants. Many times, new discoveries confirm the reconstructions. Sometimes—most notably in the case of feathered dinosaurs—early reconstructions are inaccurate. Scientists are persnickety about words. A paleontologist describing 200-million-year-old wood that has turned to stone might call it “permineralized” or “replaced” rather than petrified. Permineralization happens because wood has empty spaces in it. Suppose a tree falls into a lake that contains a lot of dissolved minerals from a nearby volcano that has sprinkled ashy minerals into the water. Those minerals, especially silicates, get into the wood, filling up pores and other empty spaces, so the woody parts are encased in stone and preserved. Wood can also be replaced. This is a much lengthier process. Suppose our tree misses the lake when it falls and is buried instead in soil. Ground water seeps through, and over geologic time, minerals replace the whole tree, including the woody parts, molecule by molecule. 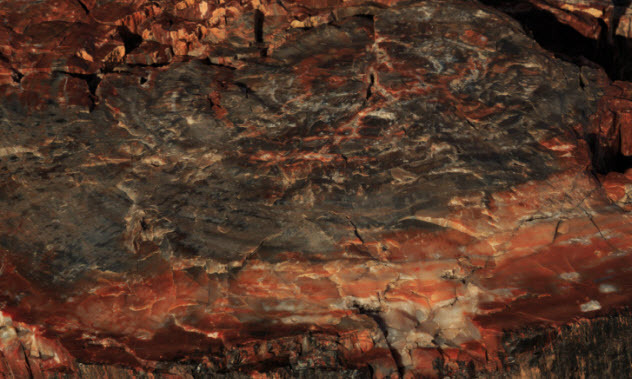 All “petrified” wood is cool, but paleontologists get more information from wood that has undergone molecular replacement than from permineralized wood. As we’ve already discussed, the saber-toothed “tiger” wasn’t the only ancient critter to be long in the teeth. Saberteeth are an example of convergent evolution, where unrelated species independently develop the same useful feature. Saberteeth are useful to all sorts of predators that must hunt animals bigger than them. There are lots of other examples of convergent evolution. Modern giraffes, for instance, aren’t related to dinosaurs, but they do have the same long necks that brachiosaurus and other thunder lizards sported. A long-extinct mammal, Castorocauda, looked and acted a lot like a modern beaver, though the two species aren’t related. One of the weirdest cases of convergent evolution involves us. Koalas have fingerprints that look just like ours, although they are marsupials (they have pouches) and we’re placentals (our unborn young are fed via a placenta). You can’t get much more unrelated than that! 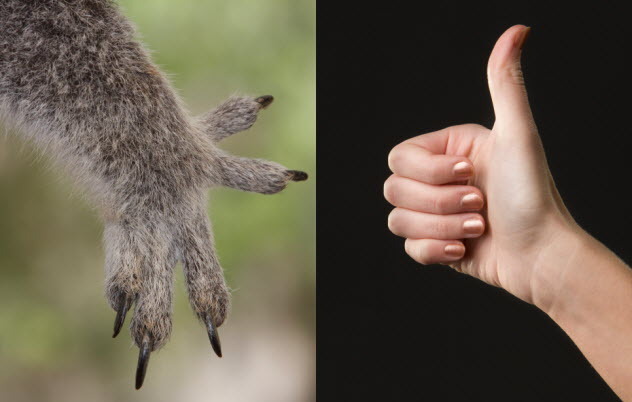 Scientists think koalas may have developed little whorls on their fingers to help them climb trees better, just like we and our close simian relatives did back in the past. Every now and then, some strange-looking animal or plant that everybody thought was extinct turns up alive and well. We think of these as relicts, unaware that there are plenty of ancient organisms around that still dwell unchanged on Earth. 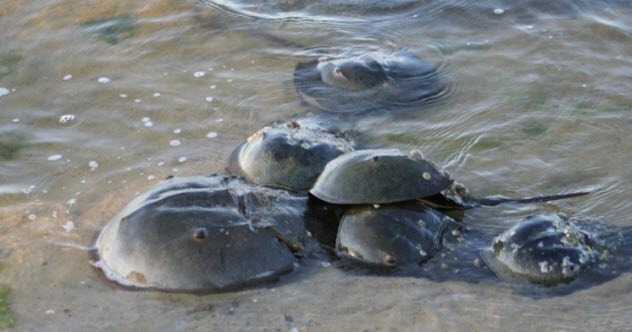 As we saw above, horseshoe crabs have survived many mass extinctions. They’re not the only ones. Those cyanobacteria that once killed off much of life on Earth by making oxygen billions of years ago are still around, too. Insects are another wildly successful form of ancient life. 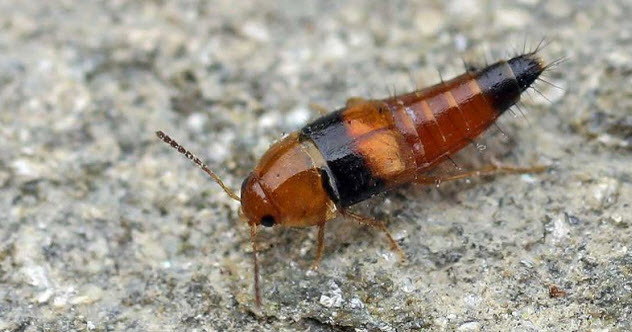 Today’s staphylinid beetles, for example, go back to the Triassic (over 200 million years ago). Today, this beetle family is possibly the largest family of living organisms in the world. Their ancestors may have been acquainted with Triassic water bugs just like the ones that skitter over today’s pond surfaces. Most amazing of all, some types of sulfur-producing anaerobic bacteria, that were among the first living organisms on Earth, are with us all the time today. That’s because they’re some of the many microbes that inhabit our digestive tract. Fortunately for us, Earth’s atmosphere has really improved down through the eons . . . well, most of the time, anyway. Barb likes to blog about Earth science and other topics at bjdeming.com.